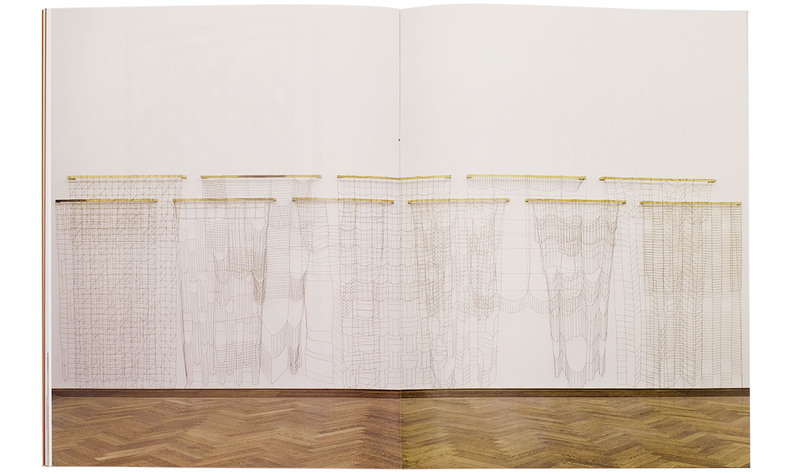 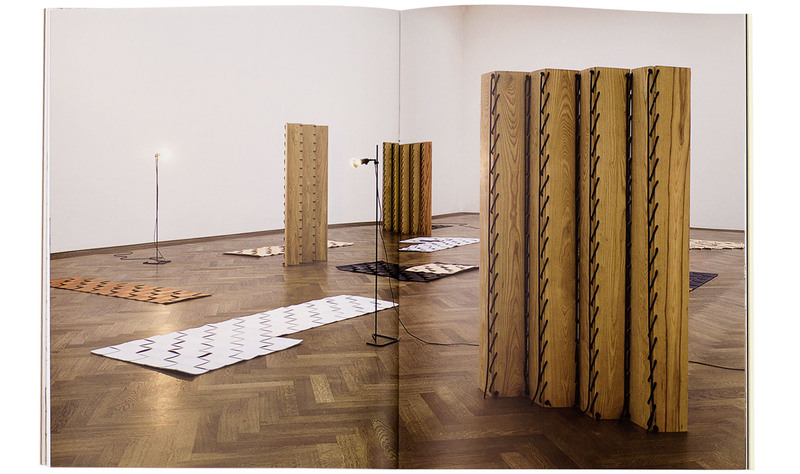 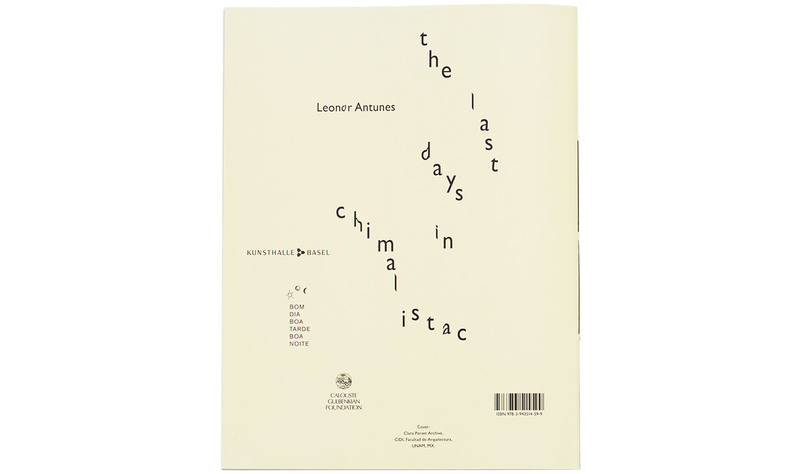 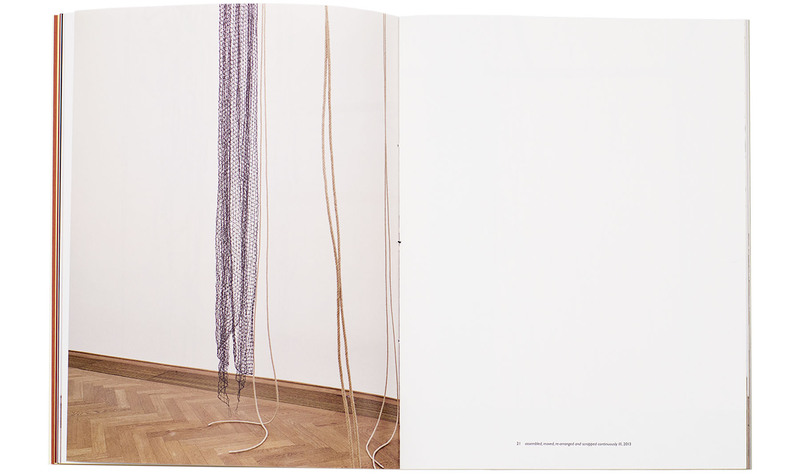 The exhibition by Leonor Antunes at Kunsthalle Basel in 2013, titled the last days in chimalistac, was the first comprehensive presentation of the Portuguese artist in Switzerland. 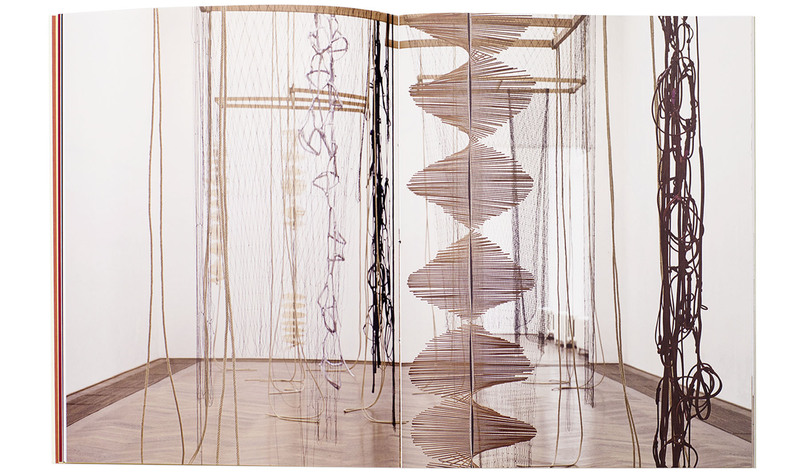 Within her practice she engages with the history of 20th century architecture, design and art, and creates complex but fragile installations and sculptures out of metal, leather, finest woods, and nets. 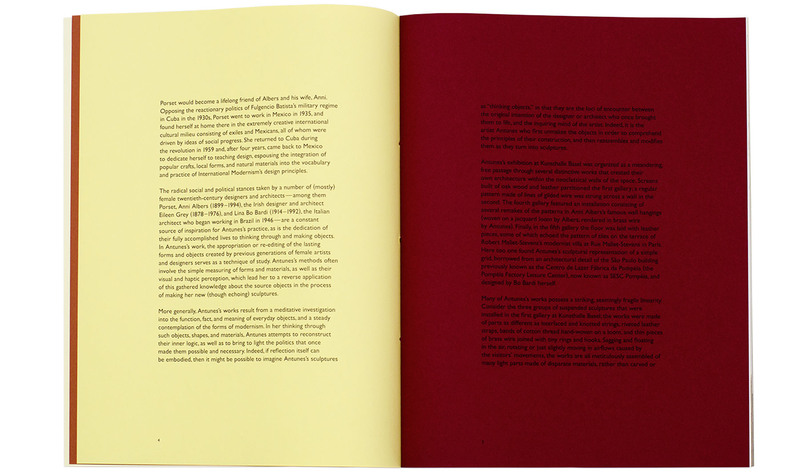 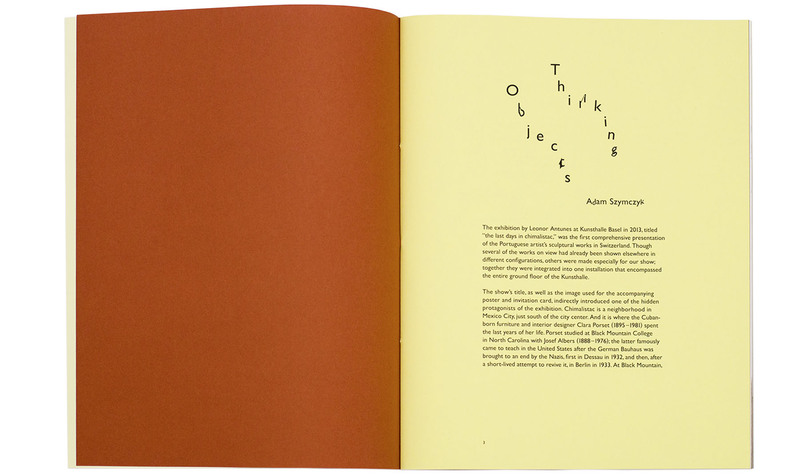 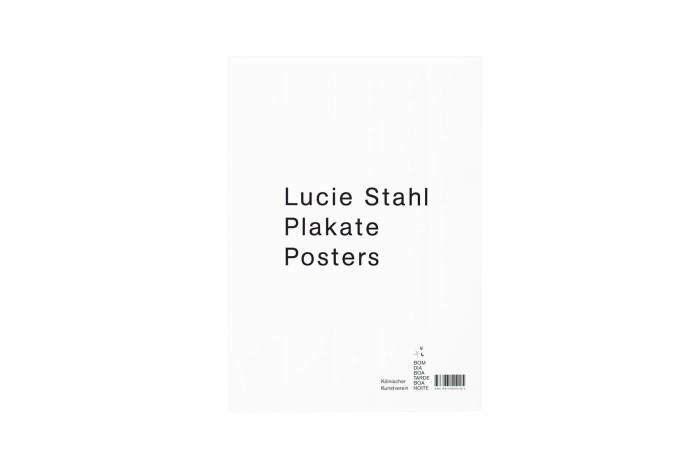 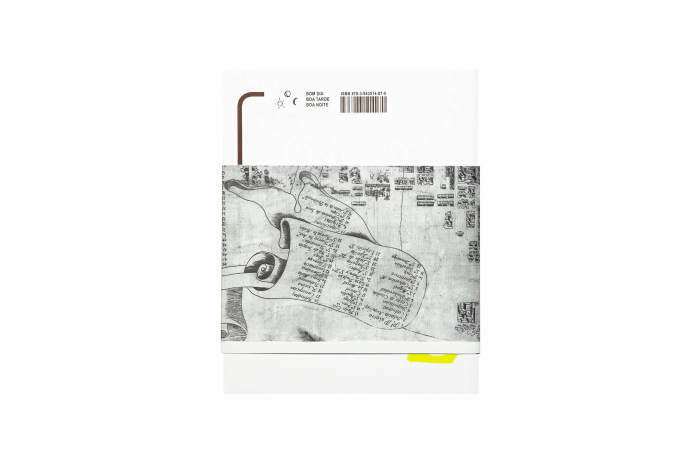 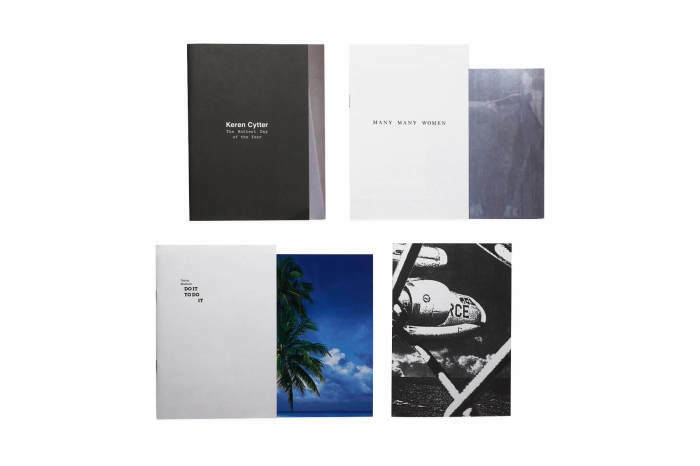 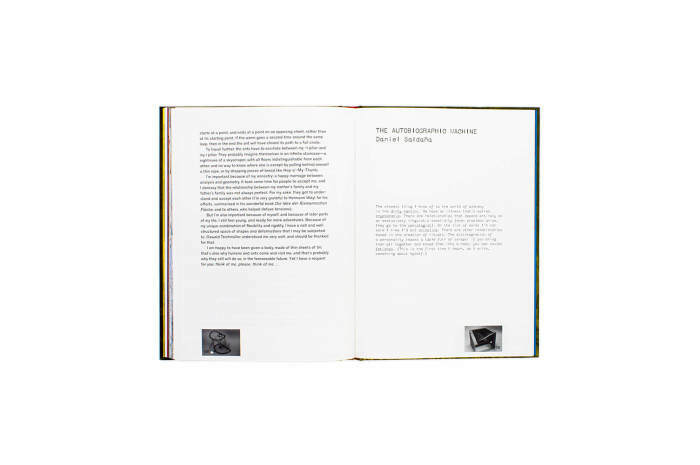 This accompanying publication focuses on the visual representation of Antunes’s work, and points out the fragility and beauty of the material itself. 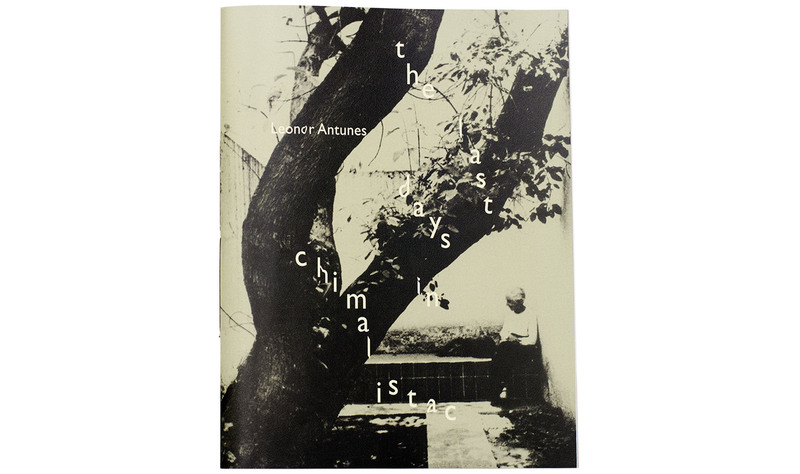 An essay by Kunsthalle Basel director and curator Adam Szymczyk introduces the backdrop, the hidden protagonists, among other Clara Porset, Anni Albers or Lina Bo Bardi, and talks about the practice of Antunes, how she reconstructs basic ideas and highlights not only the form but the politics that come with it.